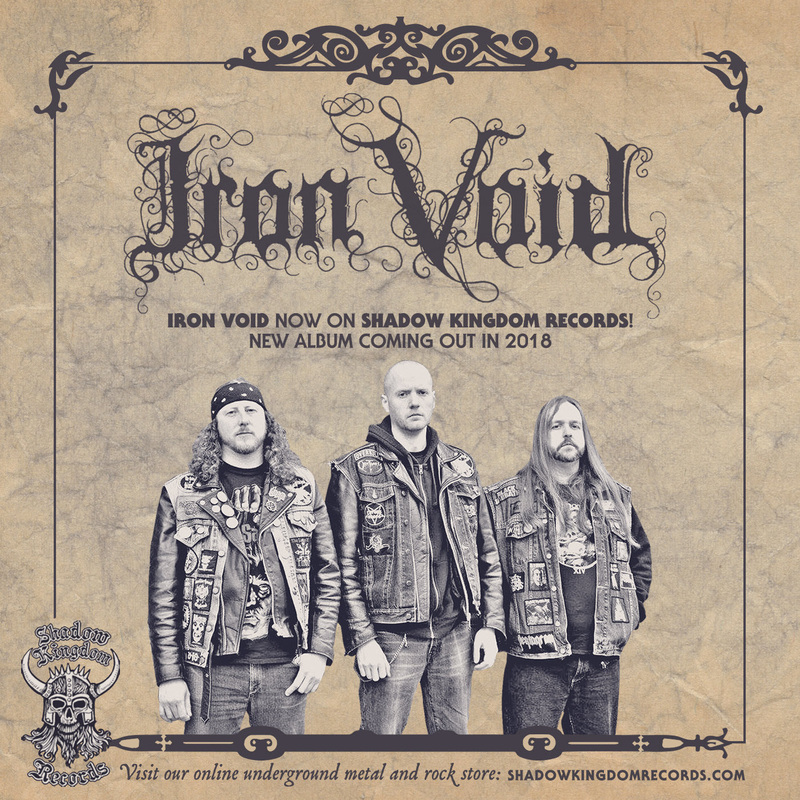 Today, Shadow Kingdom Records announces the signing of Iron Void. The first fruit of this union shall be the band's highly anticipated third album, Excalibur. A mainstay of the UK doom metal scene, Excalibur is the album by which Iron Void D will truly be launched onto the world stage. The album shall be released during the first quarter of 2018 via Shadow Kingdom. With considerable live action in the past few years as well, and encouraged by the critical acclaim heaped upon Doomsday, Iron Void patiently set to work on Excalibur. Arguably the band's magnum opus, Excalibur is an epic behemoth of Arthurian legend, emitting an atmosphere that's truly medieval whilst sacrificing whilst sacrificing none of their trademark DOOMED-OUT heaviness. Here, across the album's massive yet strangely concise 48 minutes, Iron Void weave old-as-time tales of myth and magic, all set to rumbling, dramatically dynamic doom metal. The album is sequenced together with a subtle sort of mastery, taking the listener on a journey into centuries past, all concluding with the stark 'n' stirring acoustic closer "Avalon." As the final notes ring out, you'll be reaching for the calendar to check what year it is! Release date, cover, tracklisting, and preorder info shall be announced shortly, as well as the first track to be revealed from Excalibur. Consult the below links for more info. Filtheater set to release "Blight of Sempiternal Putrefaction"